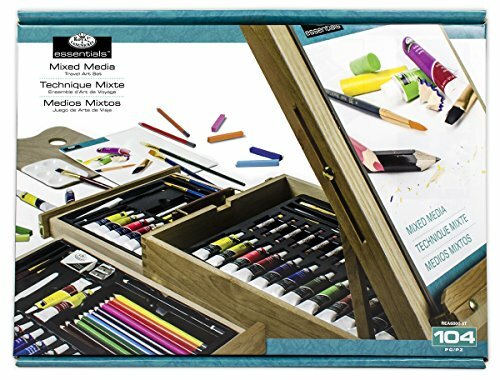 Amazon.es Price: 155,99€ 64,89€ (as of 25/04/2019 05:48 PST- Details) & FREE Shipping. 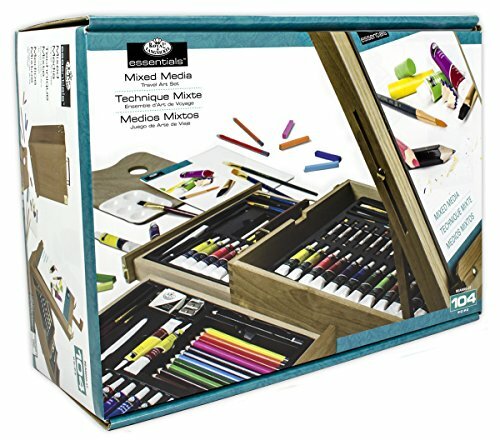 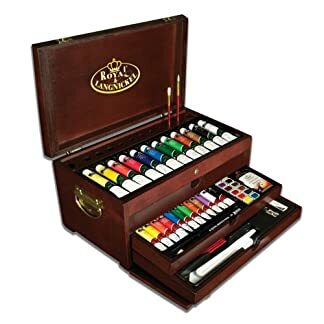 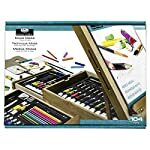 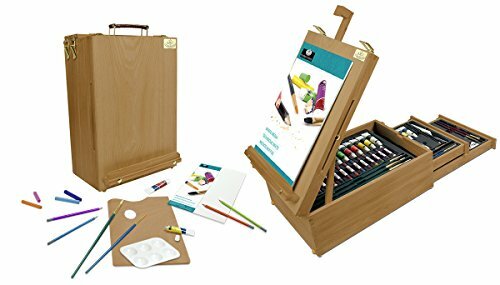 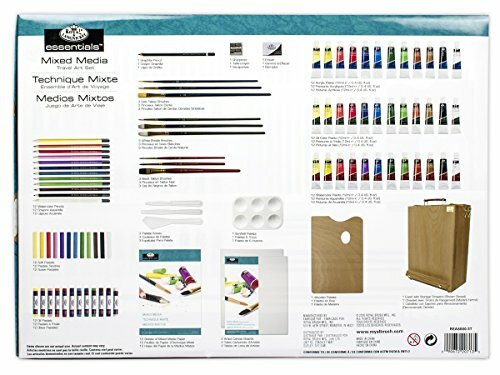 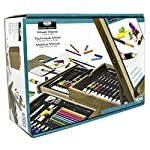 ROYAL LANGNICKEL-The All Media Easel Artist Set includes everything you need to get started as an artist! 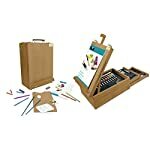 Includes 12 each of Essentials oil paints, Essentials watercolor paints, Essentials acrylic paints, artist oil pastels, watercolor paper sheets, artist pastels, 3 each of white bristle brushes, Taklon brushes, white nylon brushes, and plastic palette knives, 2 canvas boards, and 1 each of a wooden palette, plastic 6-well palette, drawing pencil, pencil eraser, pencil sharpener, and artist box easel. 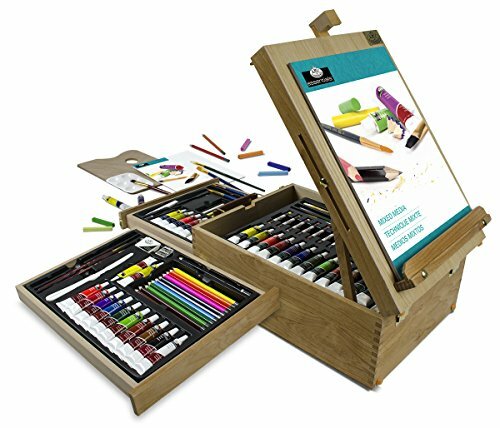 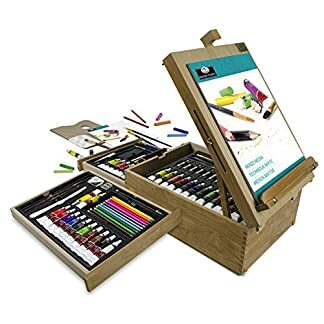 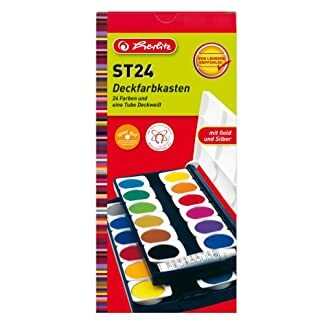 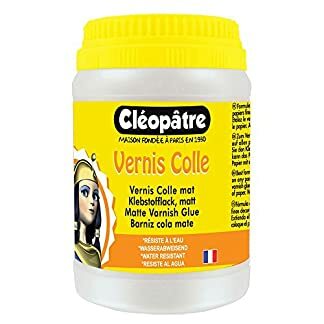 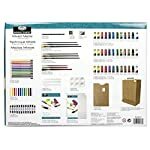 Estás viendo: Royal & Langnickel REA6000 – Set de artista caballete para todos los usos, 104 piezas Amazon.es Price: 155,99€ 64,89€ (as of 25/04/2019 05:48 PST- Details) & FREE Shipping.